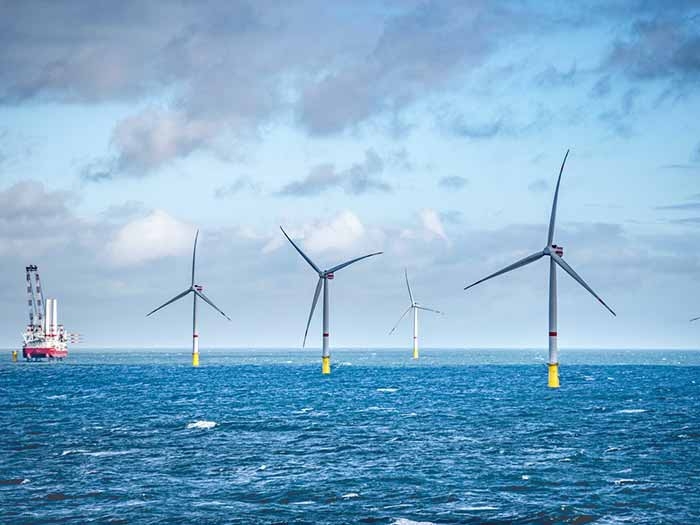 MARCH 29, 2018 — The Bureau of Ocean Energy Management (BOEM) today announced a Notice of Intent (NOI) to prepare an Environmental Impact Statement (EIS) for the Construction and Operations Plan (COP) submitted by Vineyard Wind LLC that would allow it to construct and operate an 800 MW wind energy facility offshore Massachusetts. The publication of the NOI opens a 30-day public comment period. During this time, BOEM will conduct five public scoping meetings and accept comments. The input received via this process will be used to inform preparation of the EIS. Construction and operation of an 800 MW project, potentially constructed in two 400 MW phases, up to five years apart. Installation of up to 106 wind turbine generators, each with a capacity between eight and 10 MW. Foundations consisting of monopoles, jackets, or a combination of both. Inclusion of either two or four offshore substations or electrical service platforms. Potential export cable landfalls include the towns of Yarmouth, Barnstable, and Nantucket in the Commonwealth of Massachusetts. New Bedford Marine Commerce Terminal facility as the location of on-shore construction and staging. At its nearest point, the project area is approximately 14 miles from the southeast corner of Martha’s Vineyard and a similar distance from the southwest side of Nantucket. Water depths where the turbines would be located range from approximately 37 to 49 meters (approximately 121 to 161 feet). Earlier this year, BOEM took an important step toward making the regulatory process more transparent and flexible by publishing draft guidelines for the use of “Design Envelopes” in Construction and Operations Plans for offshore wind energy facilities in the United States. This is the first COP received this year and the first to utilize this new approach. Detailed information about the proposed wind energy facility, including the COP, can be found on BOEM’s website at: https://www.boem.gov/Vineyard-Wind/.